The Memorial Hermann Southwest Heart and Vascular Institute was created by Memorial Hermann Southwest Hospital and nearly forty of Houston’s top cardiologists and cardiovascular surgeons with the goal of focusing on the treatment of diseases of the heart and blood vessels. 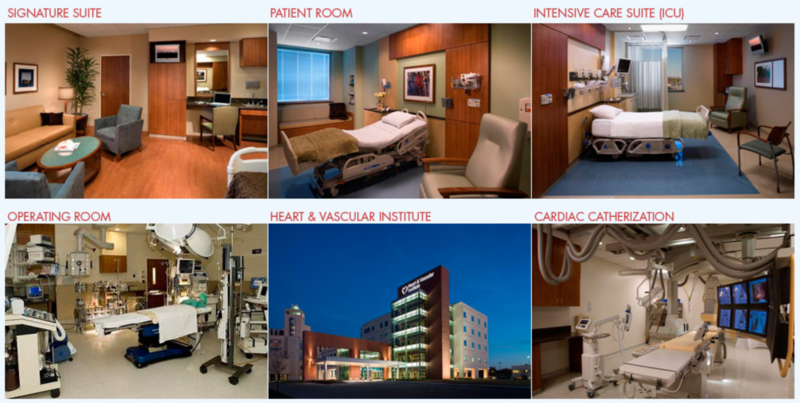 Houston’s first and only free standing heart hospital has 8 cardiac catheteriziation suites, 5 cardiovascular dedicated operating rooms, 12 cardiovascular intensive care unit beds, and 40 telemetry beds. The facility was constructed from the patient’s perspective with valet parking, concierge services, large single occupancy rooms with spouse accommodations and chef prepared meals. Patient satisfaction scores have soared because of this resounding success, it is easy to see why this facility is being reproduced at many other area hospitals.